We are delighted and proud to have news from two recent graduates Kaifan and Tianyi. It was an absolute pleasure to teach you, Kaifan and we wish you all the best with your future development and the challenges we know you will enjoy. Colleagues from the University of Edinburgh, who have been consulting with programme director Susan Kemp on a documentary about their research project on the Phantom of the Opera, were recently in Beijing doing some filming in the Beijing arthouse cinema where they met FEC graduate Tianyi who works as a programmer there. Tianyi was delighted with this connection to FEC and wrote to tell us that: I was so excited to meet people from Edinburgh and heard that FEC is connected to this project which will show the place where I work and people who I work with. This cute connection really reminds me of my master’s time in UoE with Susan and Jane, as well as my coursemates. Now, I am finally settled down as a programmer for an arthouse cinema, thank you again for everything you have taught me. I look forward to seeing u in Europe or Asia very much! Good luck with your project! So onto May and June which are always extraordinarily lively months in Edinburgh’s cultural whirl. There’s the welcome appearance of Hidden Door – one of the city’s newest festivals, now becoming an established part of the scene in its new home in Leith. Hidden Door has provided a fantastic resource for FEC student curatorial projects, ranging from Colombian cinema to Electric City, and for student researches – Steven and Carys produced an excellent analysis of its emerging role in the Edinburgh festival ecosystem a couple of years ago. It continues to stage all manner of art events, many with links to FECers past and present, and to host screenings programmed by great festivals like SQIFF and Edinburgh Short Film Festival. Matt Ross continues to manage to combine his part-time FEC studies with his role as theatre co-ordinator there; it’s that capacity to engage with different art forms and different artists that makes the festival such a productive part of the scene. Outside the festivals pop up events and talks provide a diet of provocation and diversion. Wonderful then to head to the Art College for the latest in a series of events organised by Nina Halton for Scope Critical Group, a great initiative for discussion and debate within Edinburgh’s film culture. The well-attended event on Film, the Archive and Invisible Women featured Camilla Baier and Rachel Pronger presentation the development of their curatorial endeavours to rediscover and recentre women film makers from the archives. This extension of their fabulous FEC final project was previewing in Edinburgh en route to their featured talk at the EYEfilm Institute Annual Conference in Amsterdam. It was inspiring to see Camilla and Rachel describe their identities as ‘archive activists’; to hear of their growing sense of the need for this work in uncovering and exhibiting neglected work; and to witness their joint personification of the combination of critical and research skills, advocacy, perseverance and blood-mindedness required to make things change. Increasingly the work that our FEC postgrads have been undertaking in their independent project research and their professional careers has been positioned around uncovering and bringing to light forgotten histories and marginalised voices in cinema – whether that be of small nations, minority languages, experimental and non-traditional film forms, stigmatised stories or identities. It’s a great thing to see this work bear fruit and enable these voices to be heard more widely. It’s also salutary when so much talk is of the absence of women from film to be brought face to face with women pioneers who were present and productive but whose stories have not simply been lost but­­­­ erased. What might film history look and sound like when we take the time to put these works back in the frame? the talk over dinner was of festival politics, of inclusions and exclusions and of the ways festivals might use history to respond to our most pressing current issues. And the sourdough pizzas were also great. While Mark is a generous supporter of all the film teaching across Scotland, here at FEC we like to think of him as our programme’s unofficial patron. And our official inspiration – not least for the ways his own curatorial curiosity and inclusivity has opened up new ways of approaching film history. Mark’s encouragement to FEC cohorts over the years to creatively use and challenge their ignorance, to attend to their own blindspots, to go out and find out about the unfamiliar and undertrodden paths has been a key that has unlocked many doors into new territory over the years. Thank you Mark. And yes, here it comes – the world’s longest continually running film festival about to hit Edinburgh with a bang for its 72nd iteration. We’re looking forward to its encounters with its own past in pioneering festival director Lynda Myles’ session on Women in EIFF and in its screening of Long Shot on the festival in the 1970s. The growing interest in the potential of these revolutionary times, when cinema and social change were passionately engaged and practice and theory hand in hand, was evident in Femspectives’ recent sell out event at Glasgow Women’s Library, screening of two of the lost films from EIFF’s 1972 festival – the UK’s first women’s film festival. Also featuring in the Unlocking the Archive strand are a certain gang of current FEC students, invited by the festival to reflect on their experiences with the Lucey archive. Looking for Lucey is happening on Friday 29th June at 4.15 in the Filmhouse; to whet your appetite here’s an account of the progress of this love affair in the archives through the three public events which made up the Timescapes project. Also worth a look at the festival, so the word on the street has it, is this curated programme of short films by an up and coming bunch of young curators. This year’s programme, glorying in the anxiety provoking question ‘Where’s Your Skirt?’, continues a now well-established collaboration between EIFF, the UK’s film academies and MSc FEC. It offers a terrific opportunity for FEC students to experience the work of emerging film-makers from the UK’s film schools and to bring their films to audiences at a leading film festival. We are hugely grateful to EIFF for continuing to support this collaboration through their creation of space for new film-makers and curators, building the film culture of the future, and through their generosity in sharing their own expertise through recent masterclasses. A wonderful opener before the festival was provided this week by a talk from EIFF jury member and legendary Iranian actress, Fatemeh Motamed Arya. Known to her multitude of fans as Simin, her filmography spans four decades of Iranian cinema. In an event warmly chaired by our colleague Nacim Pak Shiraz she shared her passion for the cinema of her own country; with its attentiveness to ‘humanity, relationships and family’. In an event whose intimacy was only enhanced by the power failure that plunged us into the gloaming, it felt magical to sit in a room with young Iranian women describing how they had grown up with Simin’s films and how her ability to navigate a complex and challenging working creative life has served as an inspiration. In between all their participations at the EIFF – as curators, volunteers, industry delegates, viewers – our students are also (or so they tell us) working on this year’s final projects. make it look as if it’s going to be another really interesting summer. It’s always a treat to hear what’s happening with our far flung graduates. Please keep in touch, and we massively welcome anything you might want to write for the blog. Richard Tanner is back from Canada and has just taken up a new post with National Theatres Live in distribution. Welcome back Richard and congratulations.It’s been great to see Richard’s research into rural cinema exhibition in Ontario find some new and receptive readers in the Scottish exhibition scene. Out in Canada, this time in the wild west is Sonja Baksa, who moved there recently with MSc Film Studies graduate Leonard. Sonja is engaged in a range of creative projects, working with the Cinematheque in Vancouver, applying to TIFF, and dusting off her acting talents on a short film. Great to hear from you Sonja. Researcher of Ephemeral Cinema in Historical Perspectives, Maria Antonia Velez-Serna, on the work of FEC students. A thoughtful analysis of the work of FEC students on MOVE! in 2017. 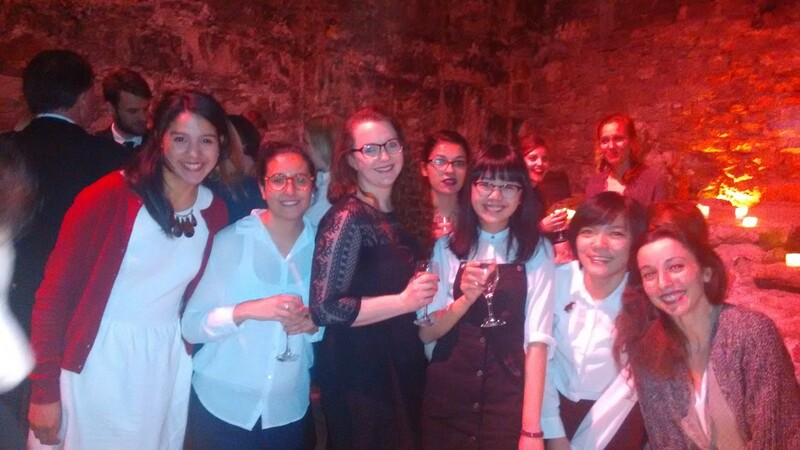 UoE MSc Film, Exhibition & Curation (FEC) student adventures and alumni news. After a long and particularly cold Edinburgh winter what a treat to welcome spring – evenings warm enough to sit out in, new shoots and new beginnings to celebrate. The Blackbird in Tollcross was the scene for a really enjoyable get together of FECers 2017 and friends: a wee chance to catch up, to swap stories, to toast achievements and to wish folk well as new opportunities take people off in new directions. The moving spirit in getting us all together was Noemi, and more on her varied and exciting recent news below. We were saying goodbye (for now) to Federico; having just finished his most recent stint at Edinburgh International Film Festival, he is heading down to London – an interview at Dogwoof awaiting him there. Fingers crossed Fed. Also off to pastures new is Paulina. Paulina has just been appointed to a dream post, working as Head of Comms and PR in the Kaunas Artists House in her native Lithuania. Last year we had the opportunity through seminar presentations and project development workshops to follow Paulina’s growing fascination with the modernist history of Kaunas and the lost histories of its once vibrant then devastated Jewish population; and to see this fascination come to fruition in a beautiful and imaginative final project. It’s an utter joy then to celebrate one of our graduates moving into the space that their own research has opened up for them. Paulina also continues to work on a range of independent critical and curatorial projects – including the spectacularly titled My Soul Knows My Meat is Doing Bad Things. Power to your meat Paulina. Heading overseas too was James; this time travel and an opportunity to take a couple of months to move around Europe, see friends, and feed his always curious creativity. Also a chance to breathe after an intense period working three jobs in his chosen field of fashion. Wonderful to see James and we’ll look forward to hearing about the trip. Glasses were raised to Rachel and her fantastic new appointment at Tyneside Cinema – brilliant but in no way surprising for our Rachel the verdict of her peers. Rachel’s archive project partner Camilla is still loving her Edinburgh gallery job (though I’m not sure scoring a full time job on the day of dissertation hand-in has yet been fully forgiven); and planning the latest Invisible Women outings for Rotterdam and Edinburgh International Art Festival. Cannot wait, it’s great to see this terrific project keep reaching new audiences. … for being appointed as Industry Events Assistant at Edinburgh International Film Festival. Carys has been an active and productive figure on the Edinburgh festival and film exhibition scene of late, still finding time to welcome this year’s FECers to the Edinburgh Short Film Festival, amongst others. Thank you Carys. March brought absolutely lovely news from Yishu back in China. 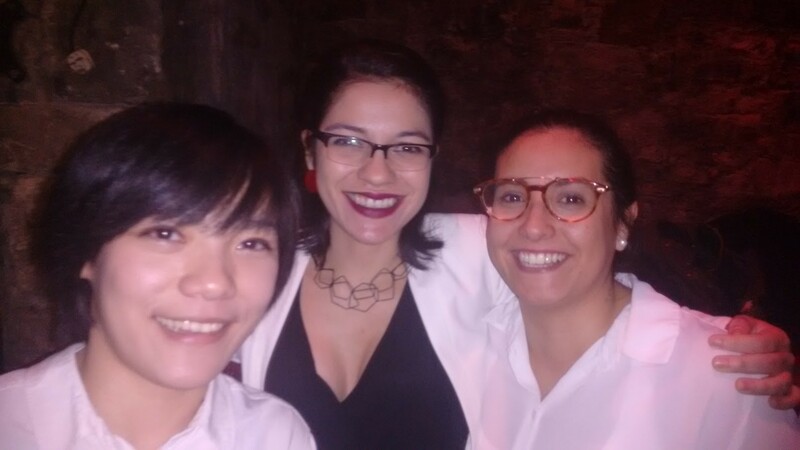 We’ve been keeping up with her amazing work as programmer at FIRST International Film Festival – not least through the really inspiring collaboration with Tianyi and Titi last year, where they launched the first edition of the festival beyond China and Taiwan. “After the year at FEC I soon went back to China wishing to get a job in film. Luckily enough (and I guess thanks to my FEC degree and knowledge), I started as a programmer at one of the most important film festivals in China, FIRST International Film Festival, almost immediately when I was back in China. I really enjoy working with a group of very talented colleagues who shares some really interesting and open ideas on film curation, and I can exert the most of what I have experienced and learnt at FEC. Though the job comes with massive workload and great pressure, I believe this is the job most close to my imagination of real festival curation within the Chinese cinema’s context. What urged me to finally write this email is a sudden feeling of dreams coming true. In the recent month I felt a very nice “homecoming” emotion: I just got off a video meeting with Noemi as she is trying to do a tour of Chinese films. Tianyi is back in Beijing for a film curation job. We got to know each other last year when she is hosting the tour screening programme that I run at my festival. We talked about Chinese FEC students and are thrilled to realize that we now have students from 5 years of FEC working in film in Beijing. We are talking about having a meet up soon! Yishu, we would love to see you back here. We miss you all, and would have loved to be at the Beijing FEC get-together. Mibbe next time? Even by FEC standards it’s been one heck of a week. Hats off to our incredible students who have made the most of every opportunity, and shown us how to keep your energy and positivity on the up, and how to grace every occasion. Wednesday brought the Edinburgh International Film Festival Artistic Director, Mark Adams, and Deputy Artistic Director, Diane Henderson to come and speak to us at the Uni. FEC students have been working on their short film programme, and were able to benefit from a great masterclass from Mark and Diane, focussing on the challenges of programming a complex and varied international festival. We are aware it’s a phenomenally busy time in their schedule as they launch different elements, so hugely appreciate their contribution. Mark and Diane took us through the process of programming; illustrating some of the incredible work and planning that goes into sourcing and securing their programming. They lifted the curtain on some of the machinery that underpins the working of this massive creatures, offering an up close insider’s eye on festival culture. Their willingness to share their expertise and knowledge were much valued and the discussion has added new dimensions to the students’ participation in the festival. We were brilliantly welcomed by Mark Daniels, a long time supporter of the programme, to his new and exciting exhibition space and ideas laboratory in the City Arts Centre. Mark gave a masterclass to the FECers, introducing some of the incredible exhibition projects he has overseen, especially through his ongoing and highly successful Atmosphere screenings. As well as taking the students through some of his different activities as curator and supporter of digital media artists (through the AltW strand) Mark shared some of the challenges and possibilities of working in new ways with the moving image, harnessing different kinds of projection technologies and the possibilities of alternative spaces to offer a properly inspiring guide to alternative modes of exhibition. Thursday brought every FEC students’ favourite day of the year: the opportunity to pitch final project ideas (refined over a series of earlier workshops with peers and programme tutors) to an array of industry professionals and to receive expert feedback. It’s never an easy experience and we know much of its value lies in its challenge. Huge congratulations to all the FECers for their work and engagement with the process. Whether you loved every minute of it, or whether you’ll prefer it in the rearview mirror we know how much you will all take from this part of the programme. Our professionals spoke enthusiastically of the quality of the presentations; and of the ambition and commitment evident across your ideas. As Leanne said wanting to change things is a wonderful goal, and what research should be all about making things better in the world. As ever we are enormously grateful for the time, expertise and generous feedback of all our professionals: all were fantastic and insightful, offering new perspectives and direction. Your Festival, Your Community Conference Stirling, April 2018. The weekend brought an amazing opportunity to FEC: an invitation, courtesy of Regional Screen Scotland, to attend the two-day inaugural Your Festival, Your Community conference at the Macrobert in Stirling. The conference showcased some of the astonishing range of festivals flourishing across Scotland. This vibrant eco-culture of exhibition is one of the things that brings students of film from across the world to Scotland where they can experience its variety and its possibilities – as programmers, participants, volunteers, embedded researchers and, of course, as audiences. The conference content showed a scene which encompasses events from the international to the defiantly local: one nominee for best venue was Ben’s house in the Cromarty Film Festival, screening films in, yes, Ben’s house. Talks and participants range from international festivals to small scale initiatives. FEC students are already planning their trip to this year’s Alchemy, increasingly recognised as one of the world’s leading experimental film festivals (FEC-watchers please note this year’s Alchemy produced by one Rachel Pronger) where Richard Ashrowan has seen his festival bring video artists and visitors from across the world in ways which have brought significant cultural and economic benefits to the town of Hawick. Additionally, as the presence and contributions of some of the local film-makers whose work has emerged out of the festival’s programme of outreach and education indicated, film offers other less tangible benefits to well-being, health and self-expression; as well as promoting feelings of belonging. This idea was reinforced by volunteer of the year Marij von Helmond’s comment on the way Dunoon’s festival is a source of pride, even to local people who have not attended. It was a truly energising couple of days and an opportunity to reflect on the values and the value of film exhibition to all sorts of different communities and audiences. Central FEC concerns of outreach, inclusivity and collaboration were strongly on display, as well as some nice wee examples of the oft-reiterated ‘don’t ask, don’t get’ mantra, a key resource in making a lot from a little. It was great to have the chance to see familiar faces and to be introduced to all sorts of novel practices and potential partners in a sector whose strength, as Robert Livingstone noted, lies in its diversity. 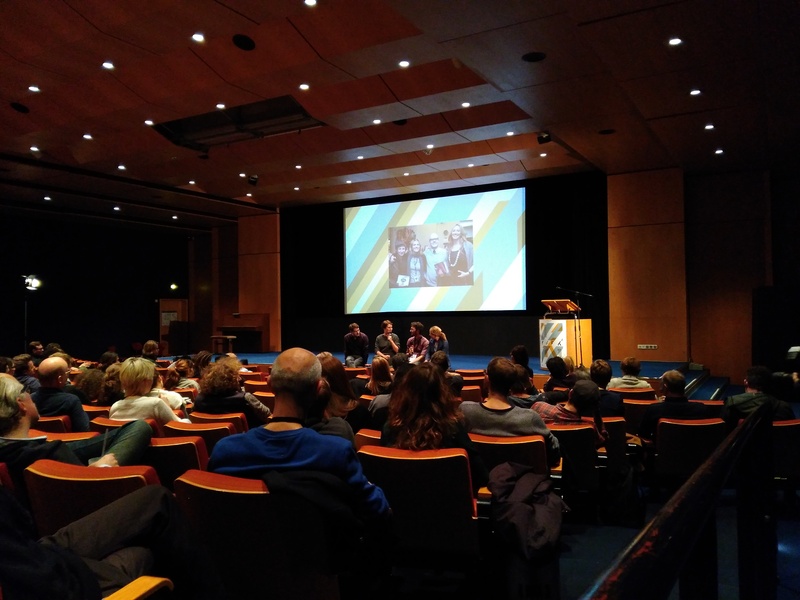 Robert Livingstone, Harriet Warman and the team at Regional Screen Scotland did a first class job in programming such a productive and rich event which enabled a wide and thought-provoking range of speakers and contributions. It was lovely too to attend a conference which started with a recognition of achievement; an opportunity to witness and to celebrate the work happening around moving image exhibition across Scotland. 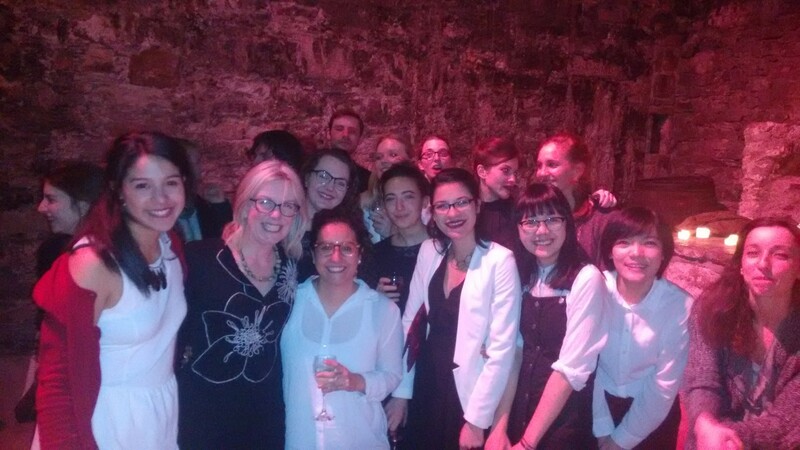 It was an extraordinarily valuable experience and we greatly appreciate the opportunity Regional Screen Scotland offered for the FEC postgrads to attend – an opportunity grasped willingly by the entire cohort who were, as ever, great to spend time with and real contributors to the event. Yes, it was also hand in week for a number of different assignments. Looking forward to heading into the research and reflections from an exceptionally full semester. Congratulations on all your submissions. PS You can see we weren’t joking about managing multiple deadlines being a key FEC skill you’ll take away. After the year at FEC I soon went back to China wishing to get a job in film. Lucky enough (thanks, in large part, to my FEC degree and knowledge), I started as a programmer at one of the most important film festivals in China, FIRST International Film Festival, almost immediately when I was back in China. I really enjoy working with a group of very talented colleagues who share some really interesting and open ideas on film curation, and I use much of what I have experienced and learnt through FEC. Though the job comes with massive workload and great pressure, I believe this is the job most close to my imagination of real festival curation within the Chinese cinema’s context. What urged me to finally write this email is a sudden feeling of dreams coming true. (Please don’t blame me for writing so late :P) In the recent month, I felt a very nice “homecoming” emotion: I just got off a video meeting with Noemi (2017)as she working on a tour of Chinese films. Tianyi (2017) is back in Beijing for a film curation job. We got to know each other last year when she is hosting the tour screening programme that I run at my festival. We talked about Chinese FEC students and are thrilled to realize that we now have students from 5 years of FEC working in film in Beijing. We are talking about having a meet up soon! We just had a small scale Beijing FECer reunion with Tianyi, Titi, Yang Pei and me at Tianyi’s place. We talked about our life back in Edinburgh and memories of learning from you till late midnight. Yang Pei said it is like doing the FEC again in one night 😛 We will definitely soon have a party of all eight Beijing FECers! Miss you so much! Hope I will get the chance to go back to Edinburgh again! Since late September, following the end of my MSc at the University of Edinburgh, I have been working as a film intern at Gallery 23 in Edinburgh. This is a an exhibition space owned by the English Speaking Union (Scotland). In addition to hosting respected arts exhibition for supporting local artists, Gallery 23 also offers film lectures and Q&A screening events in cooperation with universities, aiming to provide the local community with a vital platform for communications across various art forms. A film intern at Gallery 23 is given the task of delivering the screening events, suggesting film selections and helping with the production and presentation of other regular art exhibitions. I am particularly drawn to this role, as I have always had a keen interest in understanding the possibilities and limitations of exhibiting films in gallery space. In the first month of my internship, I started by joining the technical and reception work at the screenings. We projected films on the wall, decorated with material exhibits, designed the layout of the space, and served the audience with wine and snack throughout the event. These practices allow me to observe and explore the aspects of film exhibition that I am interested in. For example, how a viewing experience in gallery space is constructed differently from a regular one in movie theatre, and what factors most influence the audience reception. Since the late October, under the guidance of gallery director, Dr. Julie V. Hansen, the team have started to generate ideas about programmes for next year. I am glad that all the interns at Gallery 23 are encouraged to initiate original and innovative art exhibitions and film event. This is an opportunity that is often not available in other internships. At the latest regular meeting, I presented a screening proposal of China’s Van Goghs (2016), a documentary I come across at the 2017 Chinese Visual Festival in London. Back then, my study in the FEC programme enlightened me to discover that, behind the scenario, this is an interesting documentary that discusses the value of art, replication of art works and the definition of artist. I have long been thinking about introducing this thought-provoking documentary to more people. The proposal is now being considered as part of a bigger programme that may involve multi-media exhibitions. This experience of participating in the early stage of curation has been a valuable experience for me as someone who aims to eventually start my own curatorial practice. The internship at Gallery 23 has been a delightful experience for me. The galley serves a smaller audience than of big film festivals, and this is a positive opportunity for the interns. It gives us interns many possibilities in terms of curation and opportunities for hands-on involvement. I have enjoyed working with Dr. Hansen, who allows the interns to explore our curatorial abilities and influences us with her great passion for the work. Thanks to the internship, I have gotten to know the great team of interns which consists of many students from MA Art History and Film Directing at ECA. With similar interests and a passion for exhibition and curation, we made a great team. Lastly, I would like to acknowledge the MSc Film, Exhibition and Curation (FEC) programme directed by Susan Kemp and Jane Sillars, which has prepared me to work in the field of film exhibition. And I am grateful to the Gallery 23 that gives me a chance to try making the most of what I have learned from the FEC Programme. If there is a future cooperation between Gallery 23 and FEC, I hope it will continue to be as fruitful as it has been in my experience. I am now a few months into my one-year position at Eden Court Theatre and Cinema in Inverness. Eden Court is the Highlands’ cultural hotspot – a multi-arts venue with two theatres and two cinemas, which every year brings to the Highlands over 400 different theatre shows as well as a very wide selection of films; in addition to this, Eden Court has the largest arts education programme of any UK theatre. As such, the venue is characterised by a highly diverse, inclusive and accessible programme – with activities, films and shows suitable for people of all ages and needs. My position at Eden Court is Marketing Development Assistant, and my specific task is to market their fantastic cinema programme. In particular, Eden Court is looking to increasing and enhancing its audience for non-mainstream cinema. This project is supported by Film Hub Scotland, which is part of the BFI FAN – Film Audience Network. In the past few months I have been working on producing new marketing material – such as flyers, e-newsletters and social media activity to highlight each month the best of non-mainstream and independent cinema showing at Eden Court. I also worked on marketing the Eden Court Inverness Film Festival, a brilliant and exciting event that promotes world cinema in the Highlands; this last edition ended up being a really successful one, with a number of sold out screenings and the record of tickets sold in 15 years of festival. I also had the opportunity to attend one of the amazing ICO Screening Days events, where I could watch some brand new films before their theatrical release while meeting exhibitors from all over the country. Overall, I can say it’s been an amazing experience so far, as well as a challenging one. In fact, Eden Court delivers culture over a very vast area, and every year it is visited by over 300.000 people – more than the entire population of the Highlands. Being used to work in larger cities and/ or more populated regions, I found it really interesting to learn how to reach and engage with audiences in such a different context – in a region where the population is spread over a very vast area. for being selected as a candidate for this position. In this respect, having attended the Film, Exhibition and Curation MSc course in Edinburgh has definitely played a relevant role in the selection process, while also providing me with the confidence and skills necessary to take on this as well as other future projects. While in the process of researching for my final project – focusing on the role of the film curator in the online world today – I have had the invaluable chance to spend an afternoon at the MUBI offices in London in late May, engaging in a very stimulating conversation with Efe Cakarel, founder and CEO of the platform. We discussed what role curation can have within our everyday lives today, when we’re overflowed with content and information of any sort; moreover, we touched upon the visibility of film curators online and what positive and reciprocal conversations can be established between such figures and audiences in the digital era we currently live in. As an active user on MUBI for the last 3 years myself, I have come to appreciate more and more the curatorial ethos lying behind such a model; by being offered only 30 films to choose from, spectators are invited to engage more intelligently with their cinematic experience, discovering new filmmaking horizons that they might not be able to encounter if the availability of the films was wider. With humans choosing films for us instead of algorithms, audiences can become more aware of and familiar with curation itself – a powerful act of selection in a world of excess. Overall, I think my chat with Efe was a really interesting and inspiring experience; I learnt more about how to interview professionals from the industry and I was able to enter a world that has always been really inspiring to me as a film student. Moreover, I was happy to share my passion for curators – such hidden figures that often should deserve more public attention than the one they actually receive – with someone who directly works in this field. A huge thanks to my FEC tutors, Susan Kemp & Jane Sillars, for supporting me throughout the whole preparation process of the interview – your help has been incredibly valuable from start to end. Apart from meeting with Efe at MUBI, I’m also collecting useful opinions from other professionals working in the same area, in order to have a wider view on the subject; during my stay in London, I have managed to interview Kate Taylor (Film Programmer at the BFI London Film Festival), Damian Spandley (Director of Programme for Curzon Cinemas), Nir Cohen (Head of Programming at UK Jewish Film) and Maysa Monção (film critic). As of now, I’m currently writing these few lines from Sheffield; I’m here working as a Jury Coordinator for the Doc/Fest, kicking off on June 9th. I will be looking after the Tim Hetherington Jury, who is composed by Joanna Natasegara (Academy Award-winning producer and founder of Violet Films), Brenda Coughlin (producer of Academy Award-nominated Dirty Wars and Laura Poitras’ CITIZENFOUR) and Wendy Ide (film critic at The Observer & Screen International and short film programmer at BFI London Film Festival for four years). With the Festival’s programme being really rich as usual, I’m really looking forward to watching some great documentaries in the next few days and to meeting some new exciting people from all over the globe. Richard Tanner (2017) is currently in Ontario where he is conducting research on rural cinema cultures. A subject which fascinates many, including local communities. Ontario thought so too and Ontario Morning invited him on to the radio show to discuss his research and promote his survey. Excellent work, Richard. His item begins about 12mins into this link. Filmed in Berlin, Edinburgh and Glasgow in 2015/16, Writing Ensemble: An Experiment in Theatre is a feature documentary following the collaborative processes of playwright Peter Arnott and Professor Laura Bradley as they test an idea of how research can be deployed creatively. “…the issues we explored in GDR have resonance today. If people risk prison for what they believe in or what they say, then what sort of world are we living in? We must be aware of this in contemporary society. “Of course officially there was no censorship [in the former GDR],” Kemp adds. “It wasn’t acknowledged. There was more of an understanding that if you go to certain places in your work and do certain things there may be consequences. And so the artists had to be very clever. At the heart of the film is also a story of a wall, the Berlin Wall and how people and artists alike lived and experienced it. The film will screen as part of a double bill with Andreas Dresen’s Stilles Land on May 14, 2017 at the Filmhouse Edinburgh. The very recent history of the former GDR (East Germany) has much to tell us about how to understand the world we live in today, if we look closely enough. In this closed, authoritarian society, theatre played a significant role. It was more popular than any other form of entertainment, and filtering the potentially explosive ideas it contained through a network of Stasi spies and official state control was as complicated and strategic as any game of chess. This documentary follows Scottish playwright Peter Arnott as he tackles the subject of East German theatre censorship for a commissioned play. Shown as part of a double bill with Stilles Land. Introduced by Susan Kemp, director. Q&A with Susan Kemp, Professor Laura Bradley of the University of Edinburgh and Peter Arnott, playwright. Dear students, current and former, we’re delighted to announce that the MSc Film Exhibition and Curation has received a batch of nominations for the annual EUSA Teaching Awards, across a record four categories. We are very touched that so many of our students have nominated the programme and have taken the time to put together such detailed and appreciative commentary (shucks) – not least as a number of nominations are from students who graduated last year. It’s also a great reminder of just how constructive good feedback can be (did we mention that we’re nominated for Best Feedback?). Leaving the comfort of a master’s level degree is pretty terrifying. The ending of FEC was rather abrupt for myself – just two weeks after having just finished an exhausting final project I headed home to Essex to conserve my funds and figure out what to do next. This initially led to a few months of home-town boredom, relaxation and unemployment but shortly after my second month at home things started to pick up from all around. Initially I gained a role at a design agency in London which turned out not to be the perfect fit, however, during this period I found the time to explore some of my own projects. After having spent a few months without writing or engaging critically with much I realised that I felt like writing again. I searched across the Internet for a few days to see if there was a journal, website or blog that I could see myself contributing to. Whilst there are a myriad of brilliant film journals out there, currently I found that none fitted with my exact interests or aesthetics. I was keen to write about moving images of all kinds, not just film, so I decided to create my own journal. I was also keen to have a journal that was feminist, but that provided a different kind of feminist aesthetic. This lead to creating DISPATCH (www.dispatchfmi.com) a feminist moving image journal that looked to provide an intersectional feminist perspective on all kinds of moving image, be it film, TV, artists moving image or anything else that moves. Insofar DISPATCH is going very well thanks the work from my co-editor Laura (also FEC) and the continued support from other FEC alumni and the wonderful contacts that I made in Edinburgh. 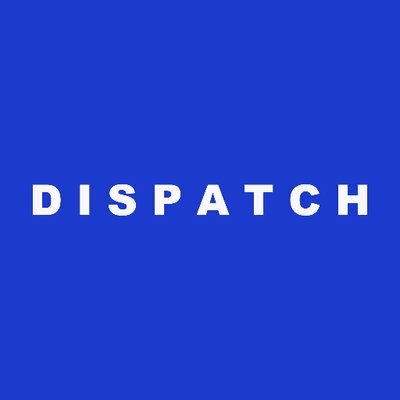 Running DISPATCH has provided me with a great opportunity to exercise a variety of skills including writing, editing, design, marketing and project management. 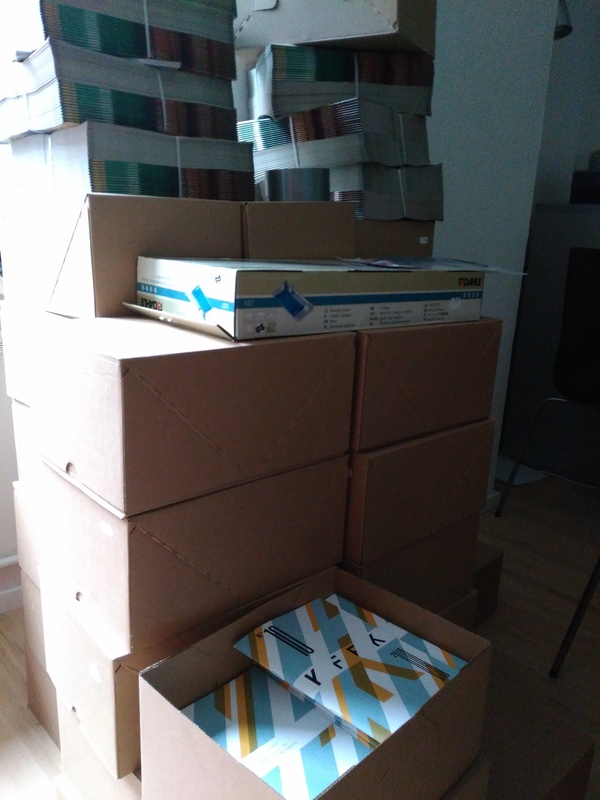 Briefly after starting DISPATCH I also gained a part-time 3 month internship with Terracotta Distribution, a far-east-Asian distribution company working within the UK. Terracotta aims to bring Asian cinema that has been ‘missed’ by big distribution companies to the UK. Terracotta has a wide portfolio of titles from horror to comedy to martial arts and works primarily by targeting fans of Asian cinema. I was particularly drawn to the role as I am a huge fan of Asian horror films and was keen to gain the opportunity to understand how these niche types of cinema are distributed. Currently I am working on the social media campaign for our latest title Bloody Muscle Body Builder in Hell (2015) otherwise known as the Japanese Evil Dead. During my internship at Terracotta I am tutored by Joey Leung and Clare Dean who take me through the process of bringing a film to cinemas and/or DVD which has provided me with all kinds of wonderful film-world insights. At the start of this year I gained a new full-time role at UCL as an Events Assistant in the Institute of Advanced Studies (IAS). The IAS is a research department in UCL which hosts many researchers and research groups and boasts a regular events programme of film screenings, seminars, conferences and public lectures. My role involves coordinating, producing, marketing and managing live events as well as managing the department’s social media presence and room booking services. This role has given me the opportunity to further expand upon the management skills that I fostered during my time on FEC. Additionally this role also lets me engage regularly with a variety of academic discourses and allows me to continue to develop the critical approaches that I developed during my time in Edinburgh. So far I have worked on events with Professor Sir Michael Marmot, Daniel Levitin and Joy Gregory. Being able to both produce and enjoy the events that I work on is a great benefit and I am continually exposed to new ideas and schools of thought. I’m thrilled to be working in such a politically active, creative and research driven environment and I’m pretty excited about where the skills I learn in this role might take me. Currently I’m juggling all three roles at once which at times proves challenging, but the varied workload fits well with me. The variety that I am now faced with reflects the way I have learned to work through participating in MSc Film, Exhibition and Curation at Edinburgh. I’m extremely grateful to have been able to study this course under the tutelage of the wonderful Jane and Susan whom have continually shown me the utmost support and provided guidance. Overall I’m pretty thrilled with the opportunities I’ve been given and I’m very much looking forward to a future with DISPATCH, Terracotta Distribution and UCL. Jennie Shearman (2016) and Laura Nicholson (2017) have joined forces to bring to life a new online publication DISPATCH. In the times we live this is the stuff we need. There are many familiar FEC names bylined , stretching those intellectual muscles and love for film in all manner of ways. It looks FECing good too. Only two days after my return home from a fantastic, exciting, insightful and learning and experience intensive year in Edinburgh, I started an internship at the Kurzfilmfestival Köln, which not only helped me to settle back in in Germany but also made even more clear to me how much I have learned in that year within the Film, Exhibition and Curation Course at the University of Edinburgh. A big thank you to our mentors Susan and Jane but also to all my fantastic class mates who brought in never-ending amounts of inspiration, ideas, knowledge, fun and motivation. 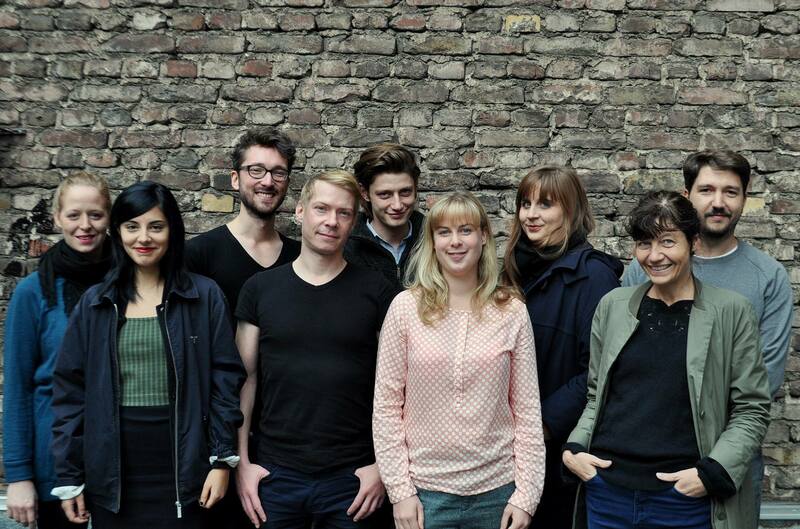 I joined the team of the Kurzfilmfestival Köln (short: KFFK) in the very crucial phase of finishing up the programme and even was given the chance join the curation team for one of the programmes, which turned out to be called Fokus: Work Work Work. Thus within those first couple of weeks my work consisted of researching national as well as international short films via catalogues, festival programmes and thematically relevant websites. Eventually in one long viewing session our five headed curation team put together a programme, which, I must proudly acknowledge, was almost sold out and earned a lot of praise from the audience. I also did a lot of the more practical work like finding filmmakers, requesting viewing links and ultimately sending out confirmations and requests for screening licences and copies. Other tasks included the co-ordination and supervision of our 50 highly motivated volunteers and occasional venue management complete with a rather terrifying but eventually affirming experience with problematic 16mm copy. The festival has been operating in Cologne for ten years now. Formerly known as Unlimited Festival it changed its name to Kurzfilmfestival Köln last year in order to promote and use its status as the only short film festival in the city. First and foremost, its aim is to show very good short film but also to provide a platform for filmmakers and young talent and to try and identify new and exciting developments within filmmaking. I was impressed by the wealth and variety of short films the KFFK screens at three venues in the centre of Cologne (Filmforum at Museum Ludwig, Filmpalette and Filmclub 813). The German competition which includes 26 short films chosen from roughly 700 submissions. Then you can find the Best of Festivals section, which featured three separate programmes this year, bringing prize winning films from festivals all around the world to local screens. 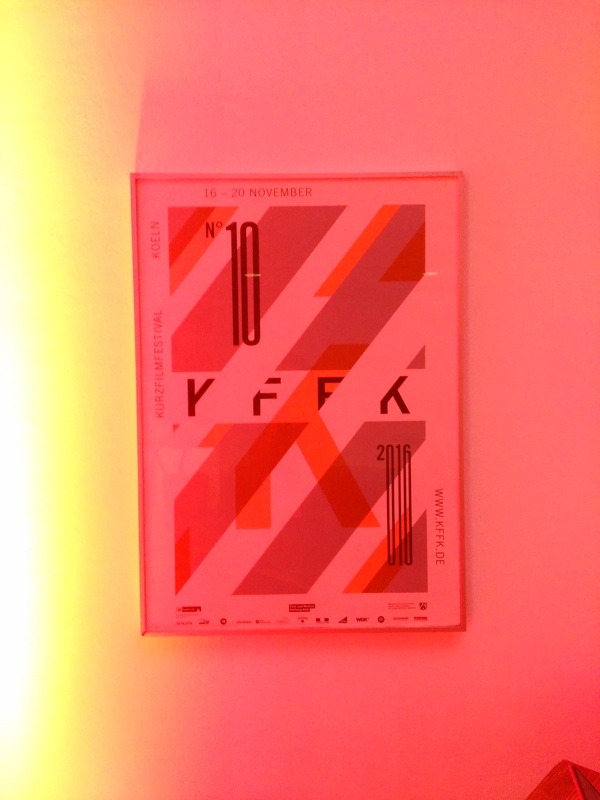 Each year there is a “Fokus” programme, which follows a special theme (“Work” this year) and there has been a four hour Kölner Fenster showcasing films from Cologne’s three film and art schools and local talent. The “Kölner Fenster” regularly turns into a huge meeting/party/discussion among colleagues and friends. 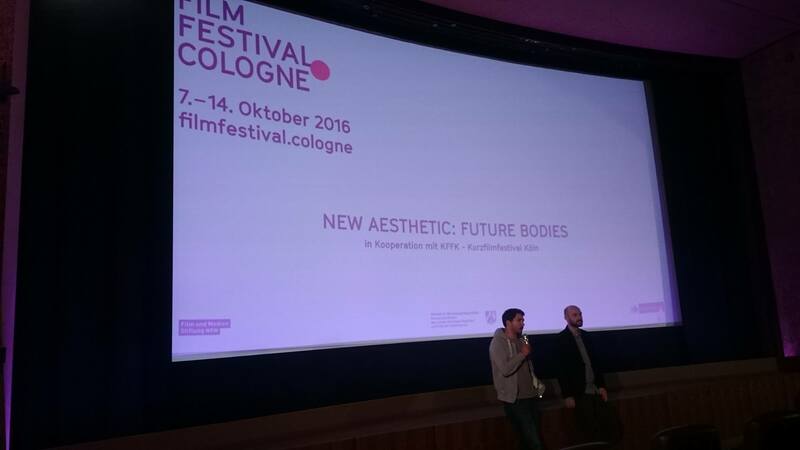 The New Aesthetics branch of the festival is becoming its signature programme. Entirely new and exciting to me New Aesthetics looks at films that are crossing the boundaries of filmmaking towards internet art, interactive storytelling and games. For the first time New Aesthetic included a Virtual Reality programme, consisting of nine VR shorts and a Jury prize. Not having watched or experienced any VR before I was surprised how far the production of VR films reaches. From truly beautiful and exciting animated journeys through fantasy landscapes, to documentaries and fiction that jumps between classically narrated bits of film and VR. Although the technological side of VR seems to need one or two more years to sort out issues of focus, stitching and clarity of the images, this showed to me that there are many creative heads out there, ready to make use of the new developments. Also for the first time I got seasick from a film. 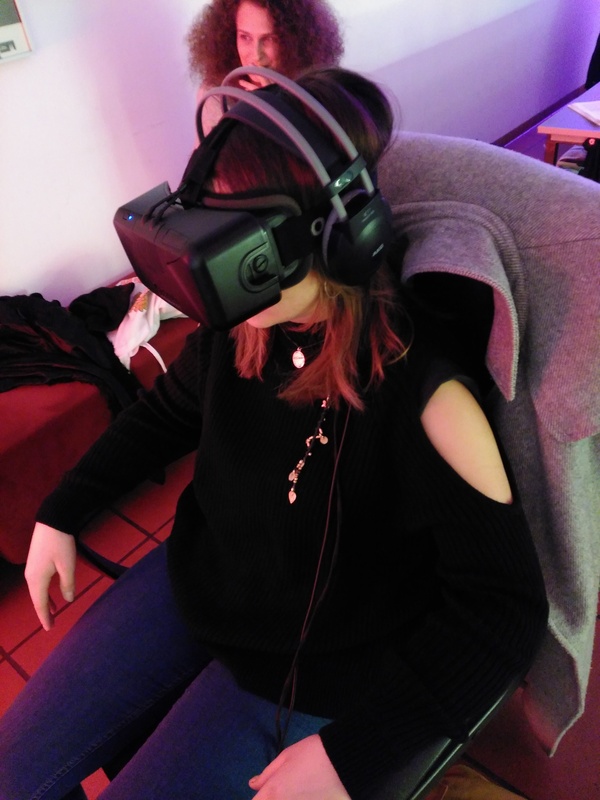 Though never really thinking about moving out of the way of some VR object while watching the “film” I was surprised by how my body reacted to this new viewing experience (perhaps a faint reminder of the – slightly overrated – train effect on early cinema audiences). Impressive was also the wealth of film festivals and the degree of collaboration and support between the various festivals and cultural institutions in Cologne. The KFFK screened a New Aesthetic Preview at the Film Festival Cologne, my colleague Seyda Kurt curated a programme for Cinepänz, a children’s film festival with whom we also organised an animation workshop, and our Spotlight on Abbas Kiarostami was curated by Amin Farzanefar, director of the Iranian Film Festival. Furthermore, the regular programme Shorts on Wheels, took the audience on bicycles to various galleries and cultural institutions within the city centre. At each stop my colleagues screened a short film unto a wall or cloth. All in all, the KFFK has been a wonderful and fun experience with a lovely and motivated team that is keen to experiment and find new and exciting films and ways to show them. It’ll be interesting to see how the festival develops within the next ten years. For better or for worse Edinburgh University no longer includes hats as part of its fetching graduation ensemble. However consider twenty one metaphorical graduations hats flung into the air in celebration of twenty one fabulous Film, Exhibition and Curation students who graduated yesterday. There was an amazing turn out from all corners of the world from our students and from their wonderful families, partners and supporters. 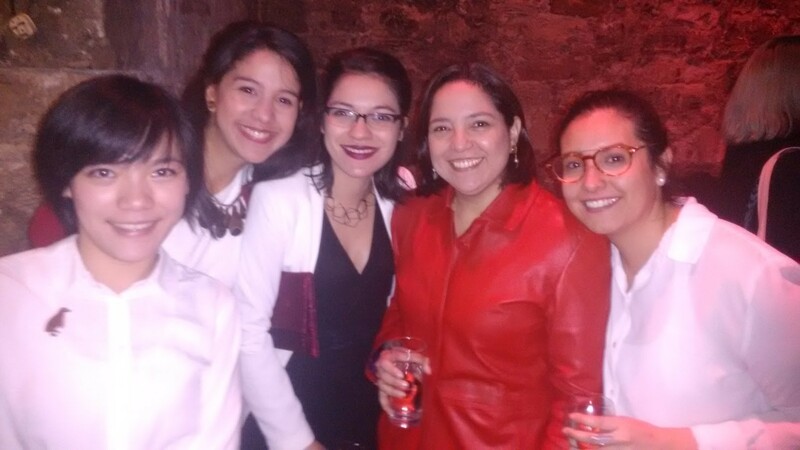 A special shout out has to go to Isabel’s family who managed not only five family members from Colombia but four (count em) generations of the Cuadros Pedroza family who came to celebrate in Edinburgh. We know the cold might have come as a shock – especially to your brave granny – but it was fab to welcome them here. Denisse’s sister rounded out the Colombian contingent further still. Honourable mention in terms of air miles travelled of course to the Karambelas family from Vermont USA, who now feel like honorary FECers having previously also made the long trip over to take part in the Glasgow Film Festival in February. Great to meet lots of European families too: some execrable French was spoken (sorry Manon and Charline) and some worse Spanish (ditto Amaya) – Kathinka’s parents can consider themselves as having got away lightly as I didn’t attempt German. There was some wee tastes of home for those whose families were just too far off; thank you to Fan for introducing us all to those delicious green tea cakes and to Deana for plotting how to continue FEC’s Chinese film presence in Edinburgh and beyond. Fantastic too that Nell made it up from her archive traineeship at the British Museum in time to cheer on her classmates at the ceremony. Your encouragement of one another and mutual support has been such a feature of the last year; it was lovely to see it in action again. We were sorry to miss Neal, Vera and Steven – though great to catch up via Carys on Steven’s current work in London. Lots of great updates on exciting jobs, interviews and future study possibilities were exchanged, we really look forward to hearing from you all about how it’s going. The evening wound up in The Caves as FEC students showed they have not forgotten how to party: it felt very fitting to be back in the place where so many friendships were forged long ago on induction day last year. Amaya Bañuelos Marco (2016) is now published. Congratulations! Nell Cunningham (2016) and archive traineeship. The title above doesn’t seem to quite give justice to the programme I am currently involved in, as it has involved not only working at Northern Ireland Screen in Belfast, the British Museum in London, but also having hands on celluloid film handling training and getting to attend the Sheffield Doc/Fest, (which had a special focus on film archives designed for the 16 trainees who attended) and the week-long Le Giornate del Cinema Muto in Pordenone Italy. Creative Skillset did wonders putting this all together for a group of enthusiastic and curious people, and I was able to participate because of the practical experience and intellectual stimulation of the FEC course. Through working with Glasgow Film Festival and Hidden Door festival I was able to show creative skillset the results of my ambitions to bring archival films to the public. I started my degree at University of Edinburgh with film archives in mind. It was only once we started having sessions in which we were forced to come up with ideas quickly that I began to identify exhibiting archive films as my particular passion. Being given the opportunity to explore that passion, is what has given me the credentials required to be part of the Media Archive Traineeship. After three weeks of training on film preservation and the trip to Sheffield Doc/Fest (another amazing experience) I headed to Belfast to the Digital Film Archive. Before actually spending time working for a regional archive, I had a theory that you could learn a different history of a place from the amateur films that were archived there, and that is precisely what happened in Northern Ireland. The Digital Film Archive contains hundreds of views of Northern Ireland that are not necessarily related to the Troubles and allows for insight into how the place and the people have changed. It was also particularly interesting to learn about the collections policy of an archive with an educational remit. I was given the opportunity to present a collection of films that I had curated for the East Belfast Arts Festival. All in all it was an inspirational adventure. After Belfast, and another two weeks of training, this time centered around digital archives, all 16 trainees got sent to Pordenone, Italy to participate in the Collegium that’s part of the silent film festival. The festival feels truly unique, both in the sense of its form and the audience present. It’s largely an academic and professional festival, and has only one venue, where silent films are played from 9am until after midnight, more or less non-stop. The films are always accompanied by live music. Primarily, the music is improvised by amazing pianists, as a large number of the films are screened in their original 35mm format and are only rarely screened at all. A particularly wonderful memory of mine is of a screening of two Buster Keaton films, with music conceived of, and performed by school age children from a local music academy. Directly after returning from Pordenone, I started work at the British Museum. The chance to participate in workings of such a large and well-established institution has been a privilege. I’ve been engaged with the archiving process of newly created digital content and have learned a great deal of practical skills along with absorbing some fascinating history. I couldn’t be more grateful to Creative Skillset for these wonderful opportunities, and I know I couldn’t have gotten there without having done the Film Exhibition and Curation MSc and the support of Jane Sillars and Susan Kemp. Thanks a million, both of you. Sonja Baksa (FEC 2016) from the 28th Telluride Film Festival. The impressions are still settling from what was one of the most surreal experiences of my life as film addict and student. The Telluride Film Festival, where I participated in the 28th Student Symposium, a side program bringing together a select group of students from around the world, has recently wrapped its 43rd edition. Having once again curated an elegant and culturally significant selection of films, the festival provided a true cinematic vacation and most indulgent experience of film escapism. Telluride Film Festival was founded in 1973 and is today one of the most prestigious film festivals in the world, existing, however, in a category of its own. Set in the beautiful town of Telluride, high in the Rocky Mountains of Colorado, the festival takes place each year over the Labor Day weekend. The festival famously doesn’t announce its program until the opening day, underlining the trust and reputation it has built with its audience, a loyal group of cinephiles making the annual pilgrimage to get lost in movies. Compared to other festivals of the same prominence, it is much smaller in scope. And much more contained; in location, duration, film selection, and simplicity of the overall production. It is a very intimate cinematic event, organized in a manner that utilizes the remote, scenic location to its atmospheric advantage, creating a three-day cocoon where the barriers between the art, the screen, the author, the performer and the audience disintegrate. The absence of red carpets, juries and awards, press and distribution market in its usual festival form, removes that degree of exclusivity and industry alienation, in service of pure joy and excitement that is film discovery. The experience was all-encompassing; the town was living and pulsing with movies. Our Symposium schedule was jam-packed with film screenings, discussions and guest speakers, from early morning to late night. There were such moments when a lunch break turned into a quick meal stop at one of the open air Q&A sessions with, for example, Werner Herzog and Errol Morris, or Tom Hanks and Bryan Cranston, while late at night, the sounds of open air film screening filled the streets and kept the bears away. The Labor Day picnic saw Herzog receive his volcano-shaped birthday cake while we lounged in the meadow eating, followed by a Q&A with Emma Stone and Damien Chazelle, there to promote La La Land. Then there was that time I hitched a last minute solo ride on the gondola and travelled over the mountain in pitch dark to catch a screening of Frantz in the nearby mountain village. 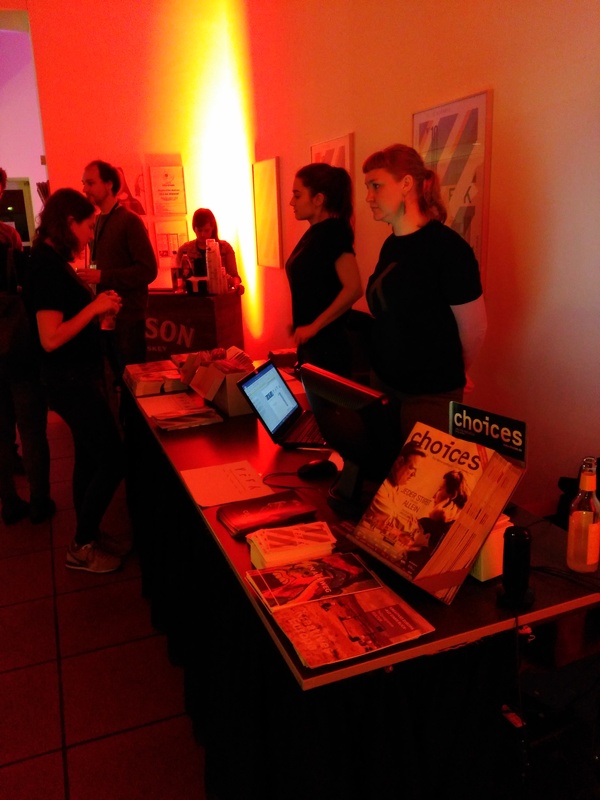 Our student group had a specially tailored program, the selection offering a variety of international film entries, old and new, spanning over all screening locations. The combination of film screenings followed by group discussions, as well as discussions with filmmakers themselves, opened up space for new layers of reading and interpretation, adding depth and dimension of film experience, new understanding of the art-form and the act of creation itself. The sessions illuminated where the stories begin and how they take form, all expressed differently by these talented artists, each with their own sensibility and energy. The films all resonated one way or another, the programming consistent in quality. Personal standouts included Moonlight by Barry Jenkins, and Graduation by Cristian Mungiu, both of whom were guest speakers in our group. For Barry Jenkins, the premiere of his film Moonlight at Telluride was especially significant, seeing as this is where it all started for him, in a way, with himself participating in one of the Student Symposiums, and later returning to work at the festival. He was very gracious with the group, generously sharing his insights, sources of inspiration, as well as personal details woven into the film, making it all the more memorable and inspiring. The nature of work and projects we have undertaken throughout the year in the Film, Exhibition and Curation course have created a natural base for the type of engagement and observation needed to navigate this particular environment, extending into one of the most rewarding in a series of learning experiences. I sincerely thank my mentors Jane and Susan for their guidance, care and support throughout the year, and for helping get this particular journey off the ground. Without them, Telluride would have remained a mere bookmarked dream of a cinematic mountain retreat. Studying film exhibition and curation at the University of Edinburgh has been a valuable experience which I was eager to apply to my local native area, that is to say Alsace, France. I used time allocated for research within the programme to go back home to explore Alsatian film archives. I was based in local folk museum Ecomusée d’Alsace but managed to meet a range of moving image professionals during my 2-month visit. Discussing resources and current initiatives with them made me realise that, despite ‘film archive’ emerging as a buzz word in academia, most of the practical work is still to be done. The field of film archives is full of opportunities, especially when working on an international level and trying to create Pan-European projects (and further). I met many lovely and truly passionate professionals and non-professionals, both in France and in Scotland who are designing innovative and creative strategies to generate interest around existing moving images. They are trying to raise awareness of those images as a support for memory, artistic creation and overall powerful social and political significance. Whether a personal film reel or official TV or film images, moving images have the capacity to generate a deeply personal connection with audiences. To me, moving images are currently the most powerful and most used medium to shape history and memory. They are extremely familiar to us, which strengthen their impact when rehashed, reworked and reflected upon. What is to be exhibited and what can be exhibited? How can we achieve fairness and a true representation when taking into account audience interest, legal and practical matters? How do we exhibit film archives? I leave those questions with future FECers who will, I am sure, develop further as the field of film archives grows. I will conclude with a small advice to those interested in film archives; look up film archive festivals and who is behind them. You’d be surprised to find single individuals, who could probably use a hand, putting all their efforts into amazing events and safeguarding odysseys. Opportunities are numerous and much closer than you might think. Most large businesses, art and governmental organisations have film collections waiting for cataloguing, research and exhibition. I, myself, have caught the ‘archive fever’ and will shortly start volunteering at the Centre for Collections at the University of Edinburgh thanks to Rachel Hosker who guided me through my master’s research.